Welcome to Creative Surfaces, Inc.
Creative Surfaces Inc. is quickly becoming the "Installer of Choice" for many end users needing a turn-key solution for their flooring improvement. 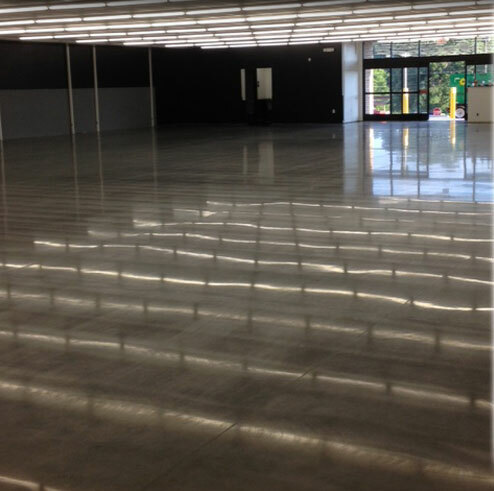 Our specialty is Polished Concrete Flooring, providing nationwide service. Whatever the industry - commercial, retail or industrial; whether new installation or refurbishment of an old, worn or unsafe floor - Creative Surfaces Inc., can provide a cost-effective, high performance and technically advanced solution for any and all of your flooring needs. Creative Surfaces Inc. works together with clients, architects, engineers, and material suppliers to provide sound, time honored solutions, combined with state-of-the-art technology to remain competitive in an ever-changing marketplace. Polished concrete floors are easy to install and maintain, offer increased strength and durability, and will decrease your floor maintenance and cleaning costs. Acid staining concrete floors or updating your flooring with dyed concrete can make your facility more attractive, yet more cost effective at the same time. "Superior Flooring Systems You Can Trust"